LG Stylus 2 is the world’s first smartphone to feature DAB | What Hi-Fi? The LG Stylus 2 has a DAB+ chipset and comes with a new version of the Radioplayer app that allows it to support DAB radio broadcasts, and DAB+ where it is available. This means digital radio on the move from your phone, without requiring a network connection. Owners of the Stylus 2 will be able to access DAB broadcasts through a new version of the Radioplayer app. This hybrid version will automatically switch between a DAB and streaming signal depending on signal strength. If the DAB signal does drop out, the app will monitor its strength in the background and will automatically switch back to DAB when it again becomes available. The updated app also comes with a new recommendation and discovery engine, and improved navigation. 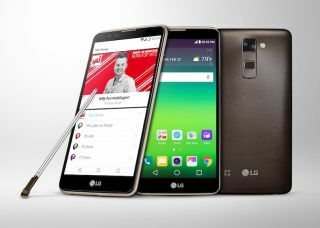 The LG Stylus 2 has a 5.7in, 1280x720 screen, a quad-core 1.2GHz processor with 1.5GB of RAM, a 13-megapixel camera, 3000mAh removable battery and a one-watt speaker. It also, as the name suggests, comes with a stylus with a range of features. The US doesn't support DAB/DAB+, instead having its own HD Radio standard, so the LG Stylus 2 will be available in Australia, Belgium, Germany, Italy, Netherlands, Norway and the UK (although DAB+ is not available in the UK).